The very tools you are using to grow your real estate business could be the reason people don’t want to work with you. The hardest part of winning new listings is earning the seller’s trust. People are savvier than ever. They are acutely aware that most sales professionals only stand to make a profit when a deal closes, providing more than a little motivation for them to push clients into making a decision that may not be ideal. When it comes to a real estate transaction, building that trust becomes even more essential. Yet, in the last 10 years an unprecedented number of new products and services have been created that to do the exact opposite. They put distance between the agent and the client. They prioritize quantity over quality. 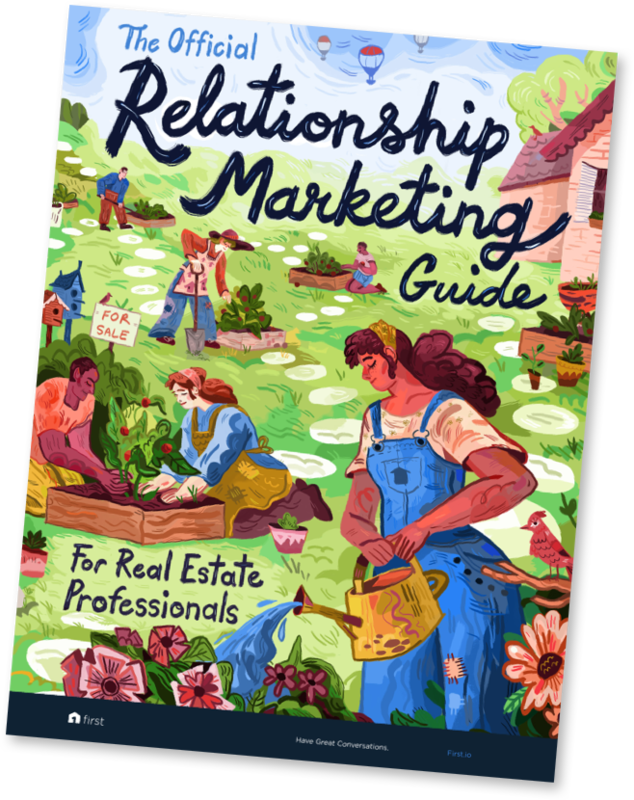 Historically the line between personal and professional has been pretty blurred when it comes to real estate relationships, as it should be. In what other industry are you invited into someone’s home, trusted with personal details about their finances, family life, and hopes for the future, all within hours of meeting them? And often times, there is some upheaval in at least one of those areas. People are having babies, or getting married, or being promoted. Alternatively people have died, or gotten divorced, or been demoted. Either way, you are hired to assist them with one of the biggest transitions in their lives during one of the most turbulent times in their lives. It’s no wonder most people want to work with someone they know and trust. Yes, it is a financial transaction, but it is so much more than that. If you are a real estate agent, odds are pretty good that you understand this, and that you genuinely like people. Yet, take a look at your tech stack. Ask yourself this question: How many of these tools do I use as a substitute for my time and attention? - You have apps that leave voicemails without making the phone ring, and wonder why no one ever calls you back. - You have automated “nurture” email campaigns that you didn’t write, and wonder why no one opens them. - You have a service that sends the same generic typed up birthday card to past clients every year, and wonder why they didn’t work with you again. Hence the great paradox of real estate tech. Most of these tools were designed to make it easier to connect with people, but sometimes they actually make it harder to really connect. They were designed to help you save time and energy, and to help you reach more people. But when it comes to the listing side of the real estate transaction, your time, energy, and personal attention are the very things prospective clients want. No one wants to be treated like a number on a spreadsheet, or worse, a dollar sign. In the last decade real estate tech has become a major industry, with most products designed to solve problems created by other products. And the greatest innovation of all created perhaps the biggest problem of all: an overwhelming amount of lukewarm interest from strangers on the internet. At first it seemed like cash was just falling from the sky, and so everyone dropped what they were doing, grabbed whatever kind of bucket they could find, and started catching as many bills as they could. Eventually people started to realize that some bills were $100’s and some were $1’s and some were even fake, but, those $100’s looked awfully enticing. So some people just bought more buckets, and some bought bigger buckets, and some even paid other people to hold their buckets and just hoped they caught more big bills than they cost. But eventually the downpour started to let up and when everyone took stock of what they caught, they realized there was a whole lot of fake money in their buckets. And whatever they had been working on before the storm started, had been washed away in the deluge. We are all for introducing new tech that makes agents’ lives easier (duh), but a damaging, fundamental shift has occurred as a result of chasing all those online leads. A new category of contact now dominates the real estate agent’s world: the prospect. A prospect is someone who at one point in time expressed a glimmer of interest in real estate services. Someone who perhaps entered their email address into your website for a free home valuation but never responded to your outreach. Someone who you have been hammering away at with generic marketing material for months to no avail. CEO of 1000watt Brian Boero likens it to the “gates of hell” opening, as the innocent information seeker is engulfed by a rapid fire series of calls, texts, emails, and mailers intended to “nurture” their relationship with the agent. “How did we end up in a place where we digitally waterboard people looking for help with something as important as real estate?” he asks. Of course this is not your intention. Embedded somewhere in your relentless drip campaign is the very real and human hope that they will connect with you, will see something in you, and chose you, among all the other agents sending them the exact same generic material, as the agent who will sell their house. Meanwhile, your past clients and personal sphere haven’t heard from you since Christmas. You have been too busy “building your business” with online leads to remember that it’s been 6 years since you sold them their home, and their kids are all in college now. You don’t remember until you drive past their home and see another agent’s sign in the front yard. This situation has become all too common as well meaning agents get caught up in the matrix of managing their online lead generation systems and neglect their personal relationships and past clients. As stated by Bernice Ross, CEO of realestatecoach.com, “the typical person knows 12 people who hold real estate licenses. Research shows that most people list with the agent with whom they have had the most recent contact”. Again, we are all for new tech that makes agents’ lives easier. But spending all your time and money chasing after hordes of lackadaisical leads is not easy or enjoyable, for either party frankly. And too often the overwhelming influx of perfunctory interest spins agents around in circles and sends them wobbling off in a direction opposite from where they should be headed: back to their network. This isn’t just mushy-gushy, lovey-dovey, feel-good stuff. Take a look at these stats from the March 2017 NAR Seller Survey report. A whopping 64% of home sellers polled said they found their agent through an existing relationship, either by choosing an agent they had worked with in the past or through referral by family or friends. To make matters even more interesting, that number jumps to 74% when looking at responses from people 36 years old and younger. Even tech savvy millennials are shunning the internet in favor of working with someone they know, or someone who someone they know knows. In comparison, of all the sellers polled only 4% said that they found their agent through a website. Even while the amount of money funnelled into these online lead generating systems has increased dramatically over the years, this number has barely budged. Why do so many sellers still choose to work with a real estate agent they know and trust, despite the bevy of options available online? Because relationships always have been and always will be central to residential real estate. As long as agents don’t automate themselves to extinction. The first wave of automated home selling services is here; and for agents who have built their business of the shifting sands of online lead generation, it feels like a tsunami. But agents who have stayed relationally focused and instead invested their time and energy into nurturing their network are just enjoying the cool breeze coming off the water. Very few agents would like to identify with the former description, but the proof is in the panic. Matt Bonelli of Turpin Realtors plays it straight, saying, “If you build your business on relationships but are still scared by tools like Opendoor and Zillow, it’s time to talk about the dynamics of those relationships... You don’t have to be best friends with your clients, but you need to care about them, not just the real estate they buy or sell”. The dynamics of the relationship can be determined by the quality of the communication. If everything is automated, and agents do little more than shake hands and sign papers, it’s easy to see why people would just as well work with some distant investor offering an instant offer on the spot. But when agents put their heart and soul into each interaction, when they stay focused on providing help, not merely a service, they become irreplaceable. As networking specialist and founder of the founder of the MasterMindTalks Jayson Gaignard likes to say, “caring is the ultimate competitive advantage”. Nothing can replace human empathy and intuition, and nothing can replace an organized, well nurtured network. As Andrew Flachner, CEO at RealScout, puts it, “this network is the moat that protects brokers who choose to make it a strategic focus”. As long as agents remember this, they need not worry about what is on the horizon. However, they would be wise to align themselves with technology that support this relationship centered approach. 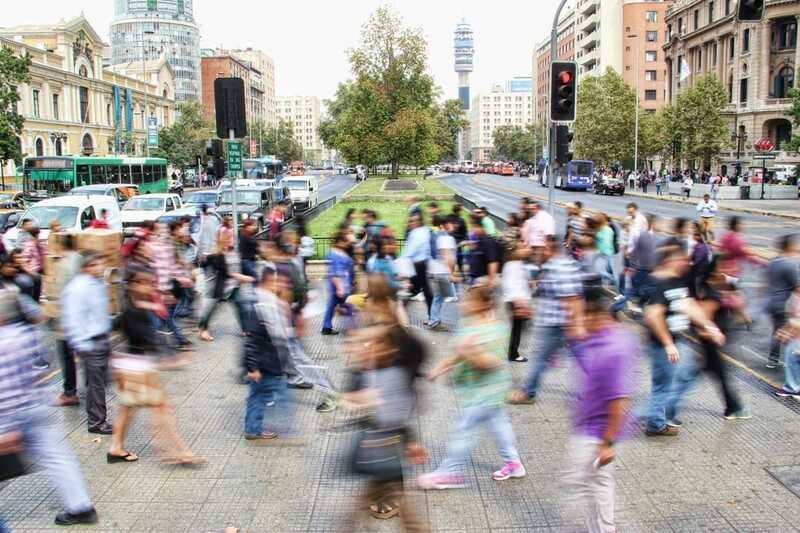 If an agent’s best asset is their network, and their most valuable resource is their time, the struggle is no longer about really connecting, but who to connect with, and when. Keeping in touch with everyone all the time is as difficult as it sounds. And the better an agent is, the busier they are, and the bigger their network becomes. Even well intentioned agents know the pain of missing an in-network listing because they let someone slip through the cracks. If people work with the agent they have had the most recent interactions with, agent centered tech should empower them to direct their personal attention to the people in their network who are most in need of their services, helping them deliver the right information to the right people at the right time. Instead of “spray and pray” approach to generating new business from the vast unknown, why not try the “analyze, predict, and provide help” approach to generating business from people you already know? Advances in machine learning technology make is possible to build predictive models that can do just that. Well, the first two parts at least. The providing help part is still up to you, and always will be.